Browse our most requested answers below. Not finding what you need? Contact us. We’ll be glad to help. What is Cryptosteel and why do I need it? Is there a product demo I can watch? Cryptosteel is fireproof up to 1200°C (2100°F)—better than all other solutions on the market, including top-ranked safes with the UL Class 350 4-hour fire rating. What is Cryptosteel made of? Cryptosteel is 100% stainless AISI 304 steel to withstand just about anything. In fact, our biggest challenge was to design and produce a construction made entirely from this one superior material, with no parts whatsoever made of anything else. After all, a solution is only as strong as its weakest element, so we made sure that Cryptosteel has no weak spots. What types of private keys can be stored using Cryptosteel? Cryptosteel can store all your private sensitive data, regardless of format. Examples include any of the following, as well as all other alphanumeric information you wish to store in an indestructible manner. Help! 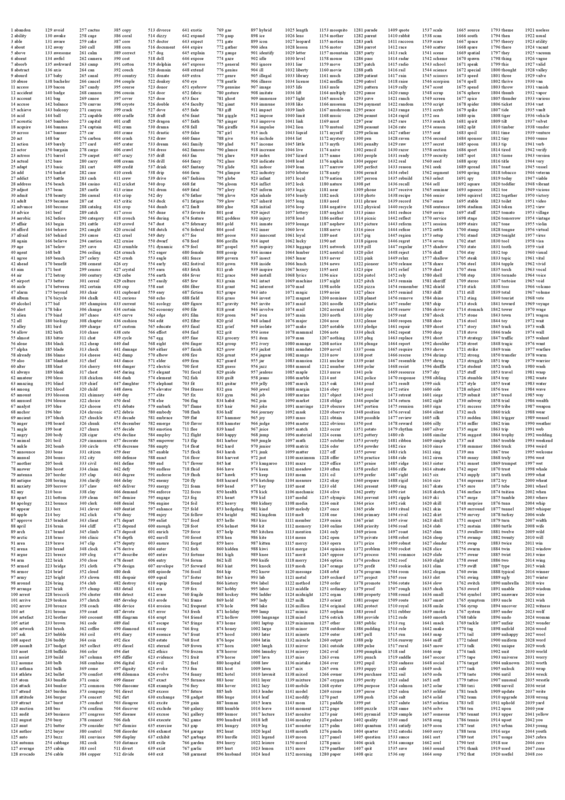 My Trezor Seed is 157 letters long, but Cryptosteel only has space for 96 characters. What do I do? The beauty of BIP39 recovery phrases is that you only need to store and access the first 4 letters of each word. These 4-letter sequences are unique and sufficient to recover the full sentence and thus the entire wallet. Most wallets will suggest the word during the recovery process after you typed the first four letters. If your wallet does not support auto-completion of seed words you can download the full BIP39 wordlist here or on Github. Why should I invest in Cryptosteel’s solution for offline storage? How is Cryptosteel better than a paper wallet or plastic card? How is Cryptosteel better than having my data engraved? Can you do your engraving yourself? Do you have the tools and raw materials to etch your data in the highest-grade stainless steel? Can you do it in minutes? Will all this run you less than a new pair of shoes? And if you decide to alter your data, how easy will it be to do it all over again? Actually, the very idea for Cryptosteel combines the permanency and tangibility of engraving with an affordable, DIY format that requires no specialized tools. So engraving is pretty great, too—it’s just way harder to pull off and probably a lot more expensive. How do I check if my Cryptosteel is working? As you will discover, there is pretty much nothing that can go wrong. The rule is—if you can write it down, you can protect it using Cryptosteel. If you’ve made an error entering your data, you can always reassemble the tiles to fix your mistake. Just make sure to triple-check before destroying any paper trail. And remember that your seed or passwords should never be sent by email or posted online, either before or after being stored in your Cryptosteel. What happens if my Cryptosteel gets stolen? In case of loss or theft, the solution will depend on the information stored using Cryptosteel and the specifics of your security workflow. If applicable, you should generate a new mnemonic seed using a supported wallet as soon as possible. If you use a device such as Trezor from SatoshiLabs, you can protect your sentence with an additional password. You may also secure your locked Cryptosteel with a small padlock (not included) to deter would-be thieves without a key or a really serious pair of pliers. How do I recover data protected using Cryptosteel? You can use whichever recovery method is supported by your wallet manufacturer. Keep in mind that in most cases you should limit the recovery process to worst-case scenarios, since putting your seed online always makes it a potential target for viruses, keyloggers and malware. Where should I keep my Cryptosteel? Where should I not keep it? With Cryptosteel you no longer need to pay rent on a safe deposit box—or trust a bank with your most sensitive information. Nor do you need a wall safe in your home, or an armored cabinet in your office. In fact, you don’t even need a home or an office: Cryptosteel is as portable as you are, if the nomadic lifestyle is your thing. Because it is rust-free, heat-resistant and waterproof, Cryptosteel can be concealed nearly anywhere—even buried underground or dropped into a well. You’ll think of something. And since it is made of solid stainless steel, it cannot be detected using high-tech scanners. In fact, if you place your Cryptosteel flush against other steel objects, it will essentially become invisible to metal-detecting technologies. Just promise you won’t keep your Cryptosteel right next to your computer. Can I really access your blueprints? Cryptosteel is an open source project, which means that all the blueprints are available under a liberal Creative Commons licence. You can find the Cryptosteel blueprints here. What happens if the company behind Cryptosteel closes down? First of all—that’s unlikely. We make a product people love and we love what we do. More importantly, all existing Cryptosteel units retain their original utility regardless of our company’s standing. That’s the beauty of Cryptosteel: you alone have access to your private data. Actually, in the unlikely case that we were to shut down, the only things to change would concern your Lifetime Guarantee and your ability to recommend Cryptosteel to people you know. Like we said—it’s not likely. I have an opinion or feedback that I want to share. Whom can I contact? Use our order tracking page to check the status of your order. Absolutely. It’s our Cryptosteel Lifetime Satisfaction Guarantee, and we mean every word. If at any time, for any reason, you wish to return your purchase for a full refund, all you need to do is contact us at Support Desk with the details and you will receive further instructions. We will process your refund as soon as we receive the product or obtain the tracking number for your parcel. Theoretically—yes. In practice, you’ll find that not a lot can go wrong with something as indestructible as the Cryptosteel unit. However, if you have any special requests or concerns, contact us with the details at Support Desk. We will do our best to troubleshoot the problem or arrange shipping so one of our technicians can inspect your unit and make any adjustments. Can I get you to make me a customized Cryptosteel? That depends on what you have in mind. Contact us with the details at Support Desk, and we’ll get back to you with costs and timing. What is the Cryptosteel Zero Questions Asked Lifetime Return Policy? It’s exactly what it sounds like: a zero-questions-asked return policy without an end date. So you can enjoy a risk-free trial for as long as you like. And so we can rest assured that all our customers are pleased with their orders. All Cryptosteel units and parts are made in Poland. We do not manufacture in China. Working in-house give us the ability to fine-tune our product in real time. We also get to support the local economy and retain more control over the quality of the product. Won’t the letters get all mixed up during shipment? Our packaging has been redesigned to prevent tiles from mixing. This early problem has been long fixed and does not affect any units currently in stock. What’s the story behind the artwork used on Cryptosteel packaging? Since the beginning, we’ve featured artwork by Japanese-French artist Rafael Akahira in all of our branding materials, including the packaging and the website. At times we’ve even bundled our product with Akahira’s signed prints. We love the way his style embodies the Cryptosteel spirit while commenting on our times – and so do our customers.